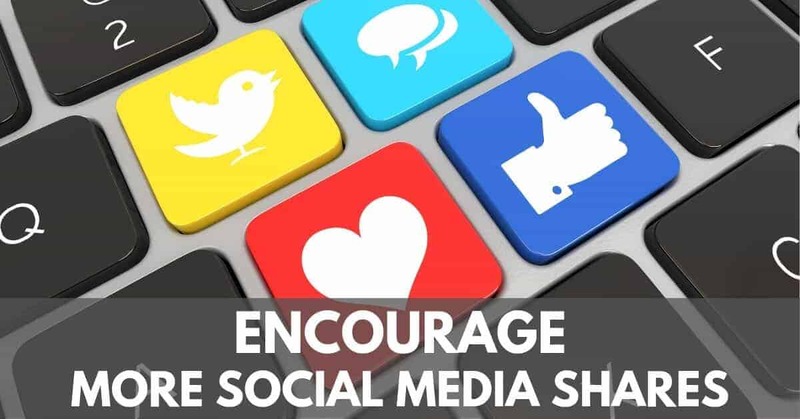 5 Effective Ways To Encourage More Social Shares Of Your Blog Posts! We live in a social world where much of our news comes from sites like Facebook, Twitter, and Instagram. To grow your readership and make sure your blog posts get the attention they deserve, you need to encourage your current readers to share what you’ve written on their favorite social media sites. What those sites are will largely depend on the niche your in. Find out where your audience likes to hang out and then focus on getting them to share on those social media outlets to attract more like-minded readers. How Do Social Shares Help? When people see that a post has hundreds or thousands of shares, they’re going to believe that the post they are reading is high quality. So the more social shares on a post, the more that people are going to read your content. Today, I’m going to show you 5 of the most effective ways I’ve found to increase my social share counts. Of course, it all starts with quality content that your readers want to read and share. No-one is going to spread a crappy post on social media. Start by writing the best blog posts you can and do some research into what your audience wants and needs. In other words, serve your market well and they will in turn share what you’re writing with their friends and acquaintances. Next, it’s time to pretty up your post. Break up your content into small bite-sized chunks so it’s easy to read. Add some subheadings and formatting to make it easy to scan through the content. And don’t forget to add a pretty image that captures the essence of your post. Step away from your desk and then come back and look at it with fresh eyes. Is the blog post visually appealing? Does it grab your attention? If not, go back to the drawing board and see what you can do to improve it. When your goal is to get people to share your blog post on social media, you want to make it as easy as possible to share. We talked about what social media sites your audience favors earlier. Make sure you have one-click buttons to share the blog post available for all those sites. If you are running your blog using WordPress you should be able to find a plugin to help you do this. The one I use and absolutely love is the Social Warfare plugin, and I highly recommend it to help encourage people to share your content. The plugin displays a bar on your posts that scrolls with the reader, or it can display your share buttons at the top and bottom of your posts (like you see on here), this can be set to display the number of shares the post has had. This really helps with the whole social proof thing – people are much more likely to engage with a post that has hundreds of shares than one that only has five. If you want another simple way to encourage people to share your posts, then you should try out ‘Click To Tweet’. Both of these options will enable you to add quotes into your post, that people can click and it will send it straight through to their Twitter for them to tweet. Buttons are great, but sometimes it takes a little extra push to get your readers to take action. Don’t be afraid to ask for the social media share. Close your articles and blog posts with a little sentence or two that asks them to share on Facebook, Twitter, and Pinterest etc. if they enjoyed the post. And don’t forget to let them know how much you appreciate it when they share the love. 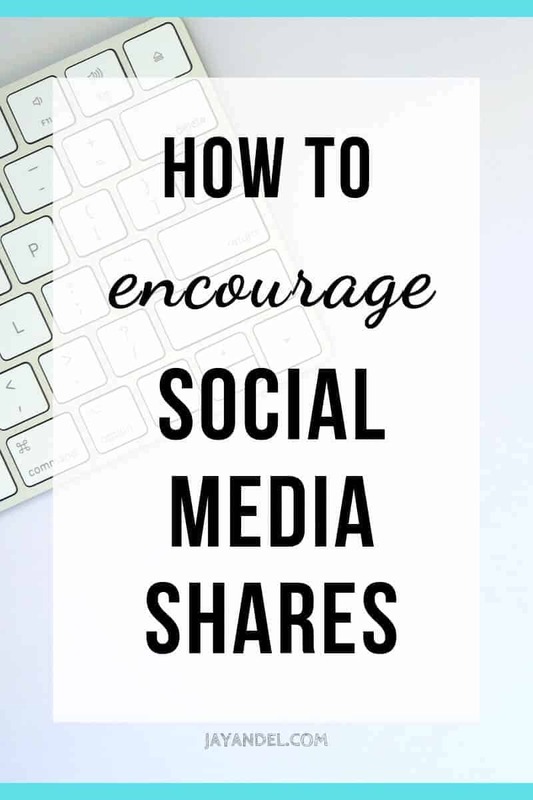 If it’s not something you already do, give it a try to see whether it helps increase the number of shares you get. 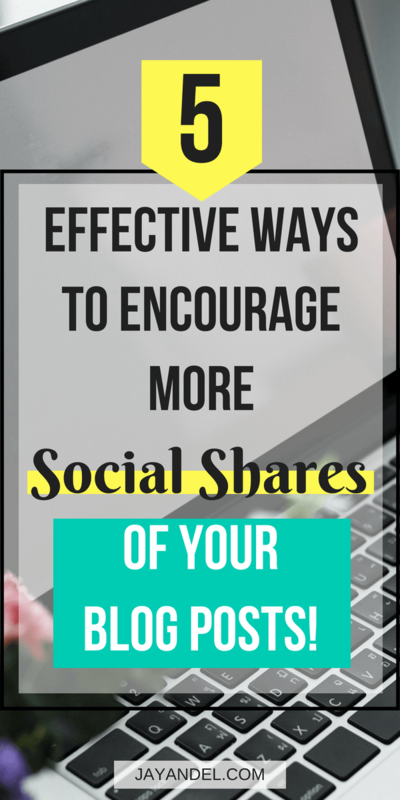 I hope you’ve found this post on increasing your social shares helpful! Growing your blog and gaining an audience does take time, but things like these will help get you there faster. And, remember to share other people’s blog posts too! If you find it interesting or useful or think your own readers might enjoy it – then share it! This post is so packed with great stuff, that I had to make a note to come back later. I’m going to tackle a bunch of these. Some I already have, but perhaps not in the smartest way after reading this article. Thanks. I’m so glad you found this useful and hope you get the social shares you desire. I wish you all the very best for your site.